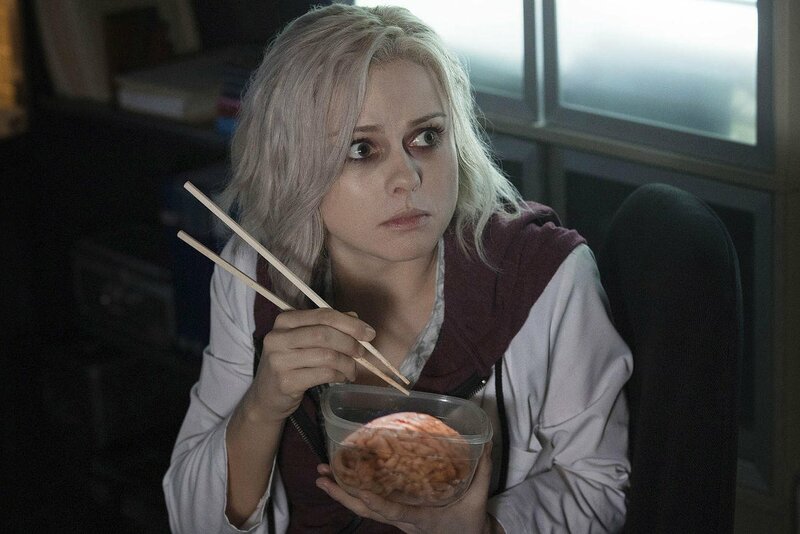 I am an iZombie evangelist. It’s easily my favorite new show of the past few years, and one that I’d objectively argue has one of the strongest first seasons on television. With the start of its second season rapidly approaching, I thought it fitting to look back and explore exactly what made it work so well. We’re first introduced to Olivia Moore when she’s a medical student on her way to becoming a doctor. When she accompanies a friend to a seemingly harmless boat party, a zombie outbreak occurs and she’s badly scratched, falls into the water, and is assumed dead. She’s not, though. That fateful scratch came from a zombie, which exposed her to the catalyst and caused her to become, well, a zombie. But she’s not the rotting, flesh-hanging-off, shambling-limbs type. Rather, she’s decked out in a pallid complexion with white hair and sunken eyes, who could easily be mistaken for a bass player in a terrible teenage garage band. And that’s kind of a problem, because she looks so normal, no one in her life assumes her undead status, instead feeling frustrated by her sudden personality change and isolation. Naturally, being a zombie means she has occasional cravings for foods of the cranial organ variety. 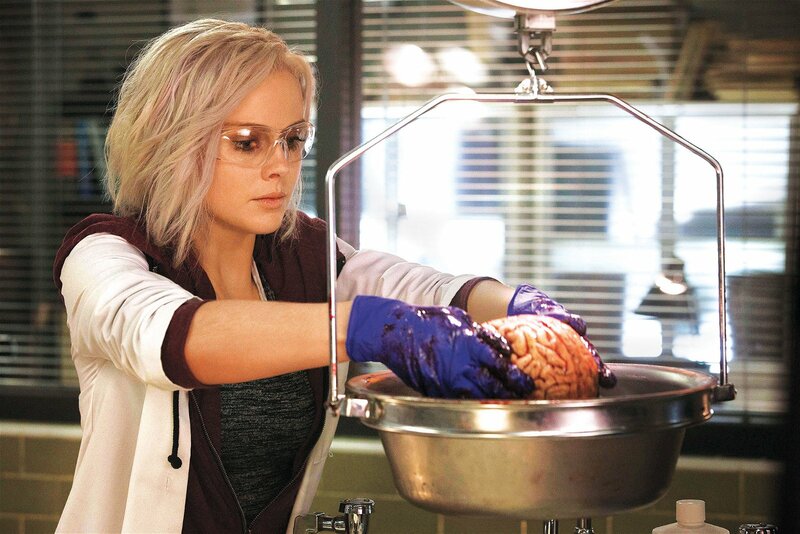 Since obtaining human brains for consumption can be a tricky (and typically illegal) feat, she lucks out by getting a job working for the medical examiner at the police department, where she has access to brains via the various cadavers she and her boss inspect. But eating brains has side effects. Whenever she eats someone’s brain, she takes on aspects of their personality and has access to their memories. She uses this ability to solve murders, eventually unearthing a major conspiracy. Like so many of the CW’s properties, it’s based on a DC comic of the same name written by Chris Robertson with art by Michael Allred. The key word here, of course, being based. The characters are different in many ways, all the way down to their names. In the show, she’s Olivia Moore. In the comic, she’s Gwen Dylan. In the show, she’s an assistant to the medical examiner. In the comic, she’s a gravedigger. In the show, she’s surrounded by a strong cast of friends and family, all of which are human and the majority of which don’t know her secret. The comic tends to be more campy Halloween fare, with Gwen being friends and associating with ghosts, vampires, werewolves, and mummies. They both share the same outcome, however, when eating brains. And you know what? That’s okay. In fact, I’d argue that the television adaptation is just as brilliant as the comic and holds its own. They definitely differ greatly from one another, and the show has been made with one foot rooted firmly into the ground in order to keep things relatable and palatable for the average viewer. 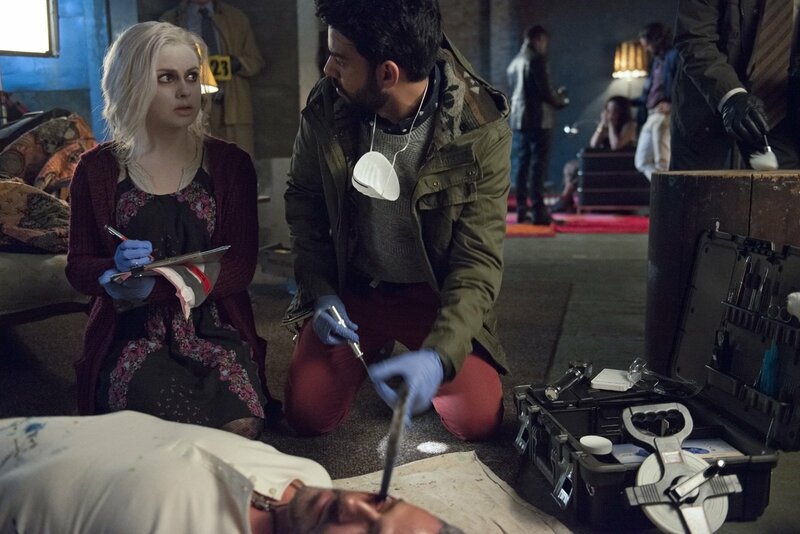 iZombie — “Brother, Can You Spare A Brain?” © 2015 The CW Network, LLC. This would be a problem if the premise was half-baked, but the show is tightly constructed and has its own direction and personality, with multiple plots tying together neatly, characters becoming fully-realized individuals, and the tone maintaining its grimly comedic flair. That’s not to say the more oddball supernatural elements couldn’t eventually come into play, but the show makes great use of the material it already has. Through Liv’s ability, it evaluates a wide range of psychological patterns, including mental illness, phobias, addictions, and obsessions. And while these serve as plot devices, they’re also great character moments that set up interesting revelations and development for everyone involved. Liv learns and grows through her exposure to them, and eventually re-discovers her purpose to continue living in her new undead form. The show’s strength, of course, is that it does this while remaining an entertaining procedural drama where it’s not uncommon to see a bit of schlocky, wonderful gore. Space Pirates And Zombies 2: SPAZ Harder!